If you are looking for an affordable all-in-one SEO tool to manage multiple websites then Serpstat is a great option. It is not the best in category for any one feature, but it offers a wide range of very good SEO tools, all housed in a single app. If you are serious with SEO, this will not be your only tool but it will save you the cost and trouble of managing several different SEO monthly subscriptions for various tools. The UI is really clean and laid out in a logical way. Even beginner SEO types will be able to easily find their way around the app. The ability to export data in a variety of different formats makes it very easy to send quick reports to clients or for integrating into larger data sets. Serpstat has a variety of different SEO tools which makes it easy to conduct extensive research on a domain without having to switch to other software. The website auditing tool is fast and thorough and allows to you get a quick snapshot of the SEO health of a domain. Being a big PPC marketer, we would love to have keywords that export extremely easily, grouped into clusters, and import well into Google Ads. Otherwise, it only takes a bit of Excel magic to make it happen. The website audit to address latency and other on-page SEO issues is solid... Unless your website is a single-page application. It doesn't recognize page depth nor canonicalization of URLs. Serpstat is much cheaper than other SEO tools & just as good. It's the ideal tool for someone who needs more than the free SEO tool, but cannot afford Moz, etc. 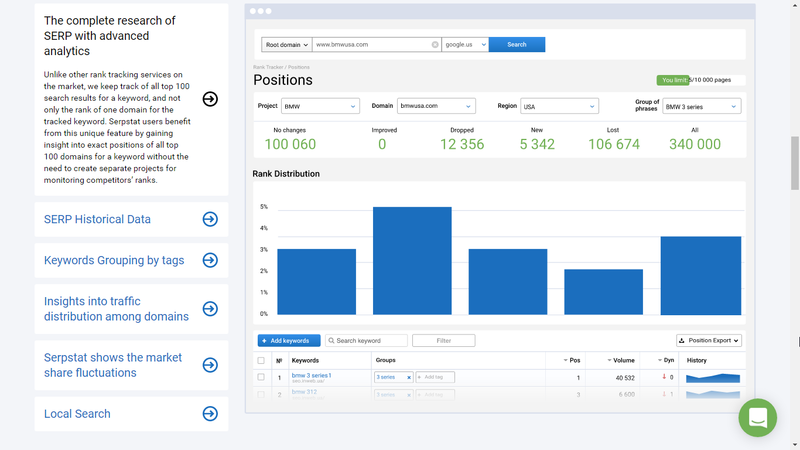 Any business that does content marketing needs a tool like this, and Serpstat is perfect for small businesses because it does what they need it to do at a fair price. It's a helpful tool, but doesn't have a life-changing effect on overall business objectives.